The lamp was designed for the project “Designer Lights” of CREAID (non-profit organization). Table lamp in solid rectangular shape, baked finished in mat black paint and perspex parts. 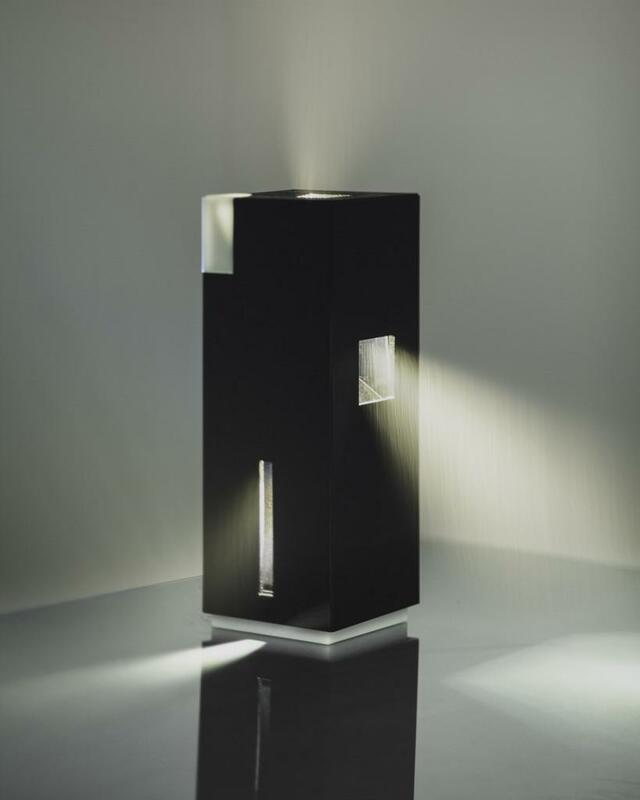 The lamp has three main led spot light sources and areas of indirect lighting through the perspex surfaces. The lighting beams projected on the table surface participate in the design of the luminaire.